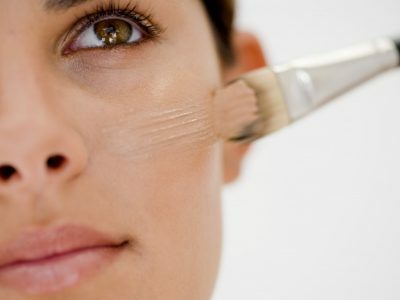 - List of 9 beauty tips for the summer! List of 9 beauty tips for the summer! With the Dubai heat in full swing, we’re here with a list of 9 beauty tips for the summer! Choose a good sunscreen. Taking it back to the basics, SPF stands for the time that your sunscreen will give you protection for. So, SPF 15 is 15 minutes and SPF 40 is forty minutes. Make sure you reapply if you’re going to be out in the sun for longer! You also need to ensure that your sunscreen has broad-spectrum protection. Exfoliate at night. or in the evening. This is great for unclogging pores but we recommend later hours because the skin could be more prone to burning, especially with the current Dubai heat. So, make sure your exfoliation routine is left to when you’re not directly going to be out in the heat. Use a really good moisturizer. This is so SO important! We recommend investing in one that won’t leave a weird residue or clump. Use a different shade of foundation. It’s always great to have a lighter shade of foundation for winter, and a darker one for the summer. Pro tip: match the foundation to the skin on your face, not on your wrist or any other limb, because chances are they’re darker than the rest of your body. Use cream eyeshadow. These are a much better alternative to powder shadows that can look not-so-great with the oils and sweat that’s inevitable in the heat. Cream shadows are ideal for the summer heat and if you want to be extra resourceful, you can even use them as highlighters or blushes! Use waterproof makeup. With the extreme heat, need we even mention why? Use blotting paper. They work really well to absorb oils or sweat, especially for people with troublesome T-zones. Instead of smearing and messing up your makeup, just use these. They’re SO handy! Refreshing sprays. Instead of reapplying to touch up, use a refreshing spray that will set your look and will make it last hours longer!